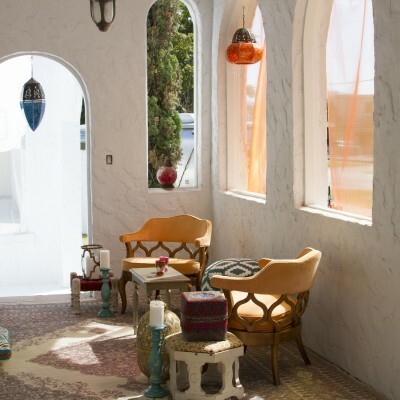 The location you’ve been searching for is finally here… Miami’s newest and most unique daylight studio. Meticulously created in a restored 1920’s home with the convenience of an open floor plan. Beautiful natural light floods the white washed floored interior tastefully dressed with vintage French furniture, European antiques and a handcrafted kitchen. Molding on the bedroom walls flows in to the exquisite bathroom. The studio boasts perfect positioning for natural light all day making shooting at Stardust effortless. The quaint French style annex contains hair, make-up and wardrobe facilities. The exterior expands over two lots and offers a wrap around veranda adorned with an outdoor claw foot tub, French country furnishings and window shutters. The huge wooden weathered deck area has an arbor built on to the annex with removable railings. 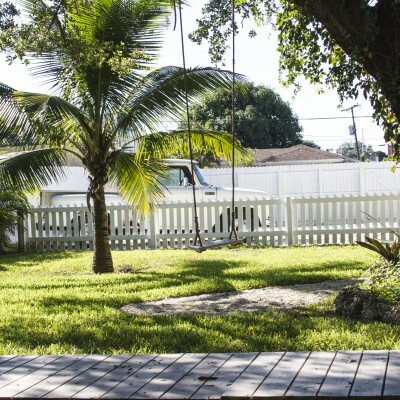 The lush, tropical garden has meandering paths, hammocks and tree swings wrapped in a picket fence. A 1965 Chevy pickup sits on the sand-like gravel making Shooting Stardust Studio the most versatile and convenient location for all your stills, video and event productions. Ample parking is available. For booking or just general information about the studio, just send us a message or call 305 495 4267 today.